Field tour 3 is partly the same as tour 2. 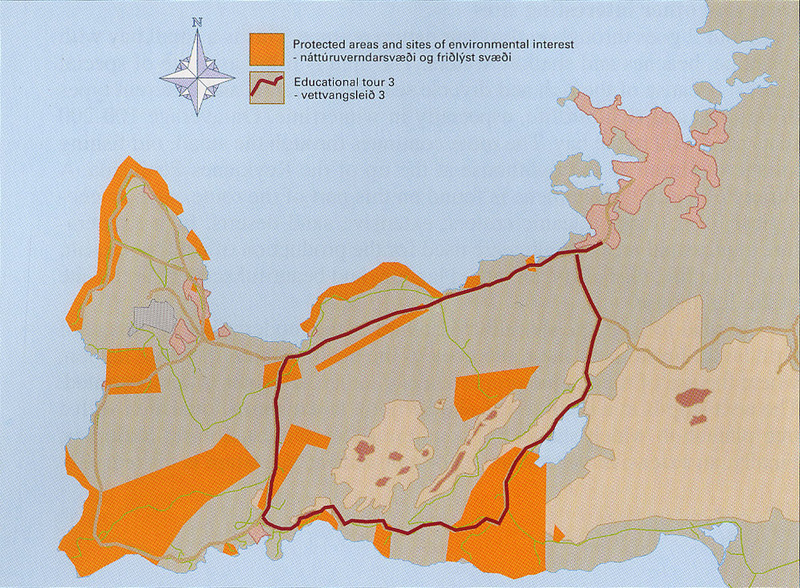 It goes not far from the shoreline, from Grindavik eastward to Krysuvik. On this section there are many spectacular geological formations and volcanic craters. The bird cliff Krysuvikurberg, which is one of the richest in the country and possibly in all of Europe, is also visited. At the time of the settlement Krysuvik was one of the best farming areas on Sudurnes. Today it has one of the most serious soil problems in Iceland.